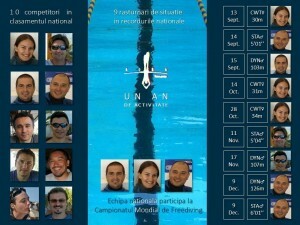 In the beginning of February 2013, at the El Comandante Primer club in Bucharest, the annual meeting of the Romanian freediving community took place. The organizer, Freediving Romania, supported by El Comandante and Grolsch, wanted to mark by this event the community’s most significant accomplishments from last year and to establish a tradition of such annual meetings. 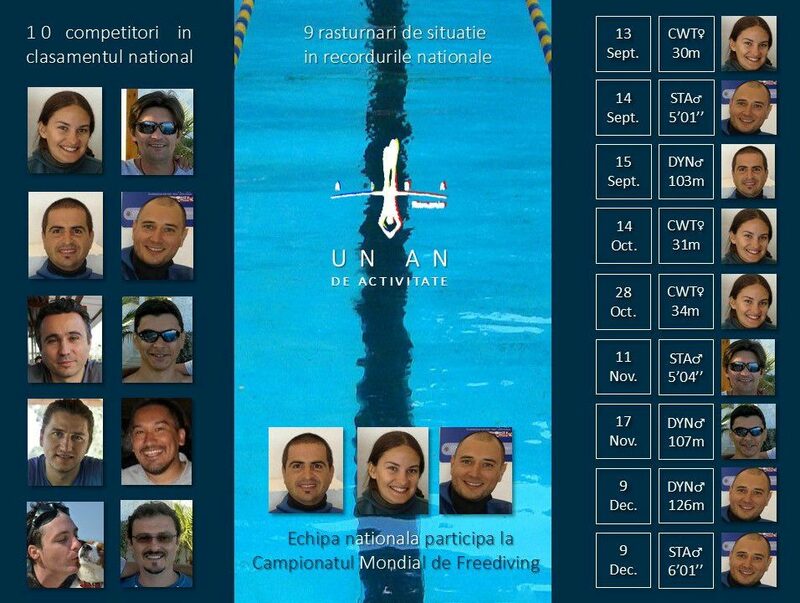 In a warm setting, AIDA Romania’s first year of existence, the first Romanian participation in a freediving world team championship, “[...] a few individual participations in official AIDA competitions. A few national records were improved [...]”, as it’s stated on the association’s website, were celebrated. The best freedivers of 2012 were also awarded – Adriana Bantu and Alexandru Russu – who, unfortunately, couldn’t be present to receive their diplomas and anniversary T-shirts because they live in Cyprus and France, respectively. 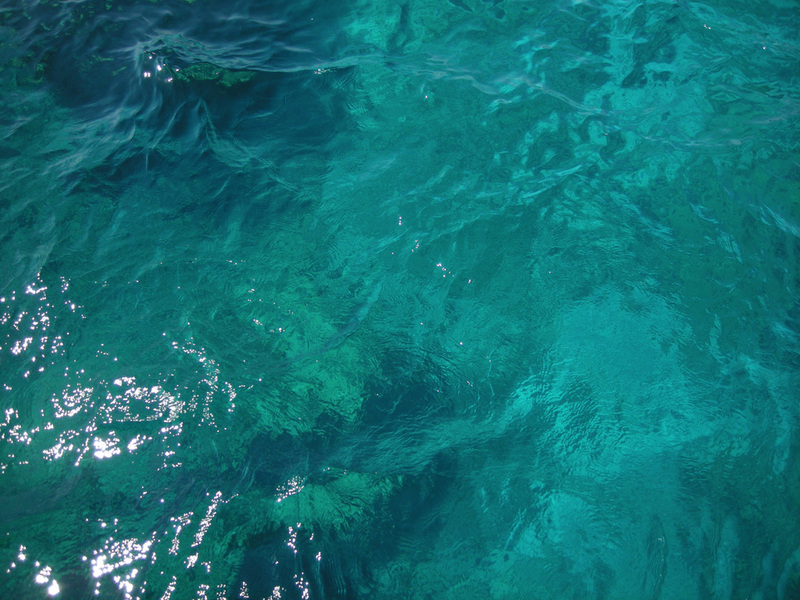 Other diplomas and titles (“the most static freediver”, “the most bearded freediver” etc.) meant to stimulate and encourage practicing freediving were awarded to those present by the evening’s host – Sergiu Şerban, the president of Freediving Romania and founding member of AIDA Romania. Among the present supporters were Carmen Bunaciu and Anca Pătrăşcoiu, our Romanian awarded swimmers. The freediving community, small as it might be, showed once again that it’s bighearted and energetic and has all is necessary to continue in bringing excellent results, making us all proud! Lots of luck in 2013 and many beautiful results in the competitions for which they are already training! For photos from the meeting see here.